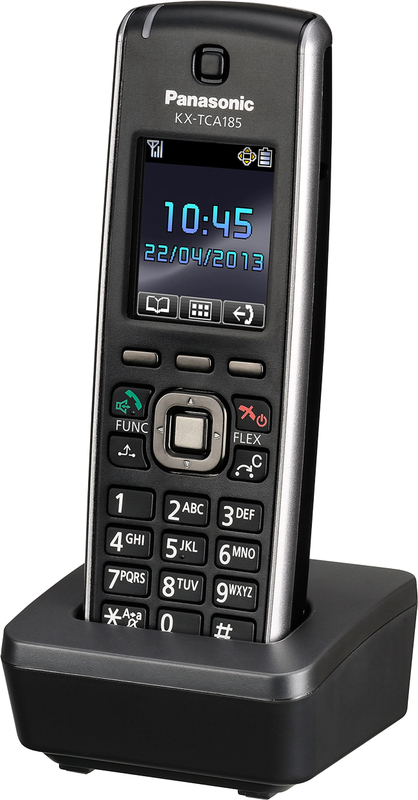 To ensure efficient, comfortable and clear communication, the KX-TCA185 DECT handset is equipped with a noise reduction function, which can be enabled at the press of a button. This function reduces surrounding noise and makes the speaker’s voice far easier to hear and understand. *1 To save the battery, LCD display will be powered off one minute after PS becomes idle state. *2 Condition is LCD backlight off.